Meet Rafael Minerbo, a bassist from Brazil who made us laugh pretty hard when reading his bio (you’ll see why). Rafael has been playing for about three years and says he wishes he was David Caraccio or Flea. Rafael is our player in the spotlight for the week of July 31, 2012. One day I simply decided I wanted to play the drums. Simple as that. 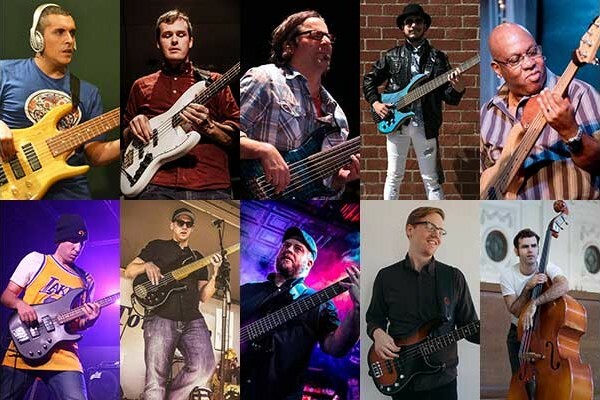 As soon as I started learning it, I made new musical friends and one thing led to another… until I suddenly found myself as the bass player of a band. I barely knew how to even hold a bass (evidently, all we played was Blink 182 in the beginning. Oh well… Mark Hoppus). The years passed, and one day the drummer of my band suggested I learned slapping, because he wanted a song with slap bass. I practiced every day and watched nearlt every Deep Kick and Red Hot Chili Peppers video there is on YouTube. Today, that’s how I play, as funky and as rock and roll as it gets. My main band is Tromp. We play gigs and festivals around town and right now are in the recording process of our EP. Other than that I have a project – without a name yet – which includes the drummer in Tromp and an amazing guitarist. I always like to get together with different people and jam. Music has no sense if you are by yourself right? I was actually a drummer who was invited to be part of a band with a few friends, but one of them was already a drummer. I was then assigned to the role of bassist, and I had absolutely no idea how to play. It grew on me and now I can barely stand a day without playing. Stage Presence, I believe. All that funk and jamming going on as well. However, it Makes no sense if you are not into the music you are playing. David Caraccio. I wish I was him. Flea. Actually, I wish I was him. minerbo is already a genius! Tromp shows are amazing!